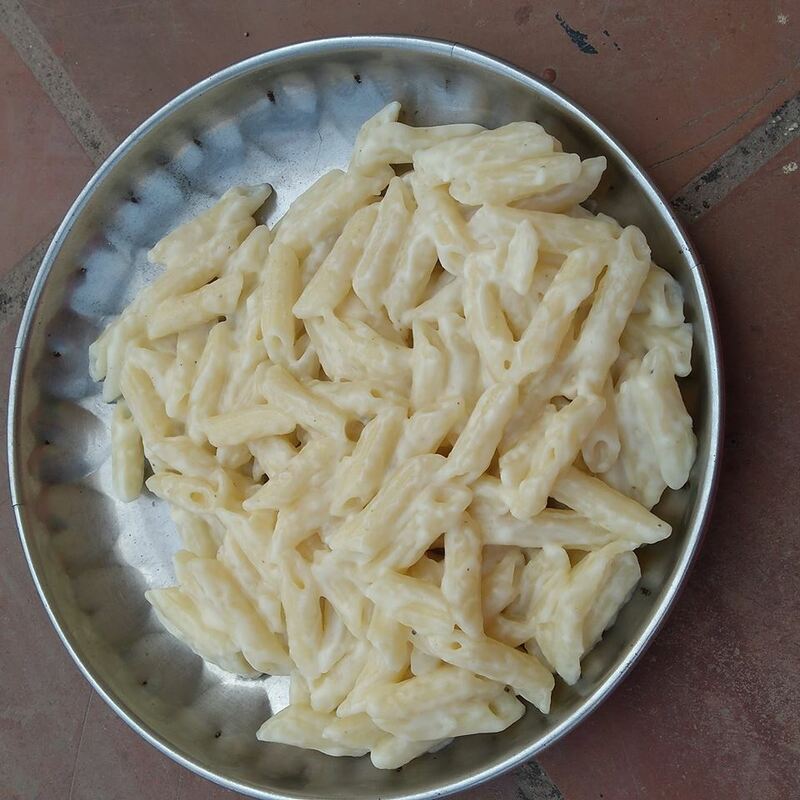 When my boy asked me for pasta,I immediately made this penne in white sauce least understanding that he was looking for penne arabiatta..phew..So what?I was pushed to gobble it all!Now to the recipe. Heat butter(I used herbed butter) and add maida(phew if you are into diet,I am sorry I could not help),simmer the stove and mix well(use a beater)..Till the color slightly turns golden brown.Add boiled milk and give it a good whisk..The mixture would turn slightly thick..By then add the cooked pasta(along with cooked veggies if any and salt) and give it a good mix..Finally add grated cheese and cook for a minute..you can also top it with chili flakes, herbs and pepper powder..Switch if off and serve.. I used herbed butter and so did not add ay herbs. You can use any variety of cheese though I used amul! Penne is a variety of pasta. Sauce made with butter,maida and milk is called white sauce. 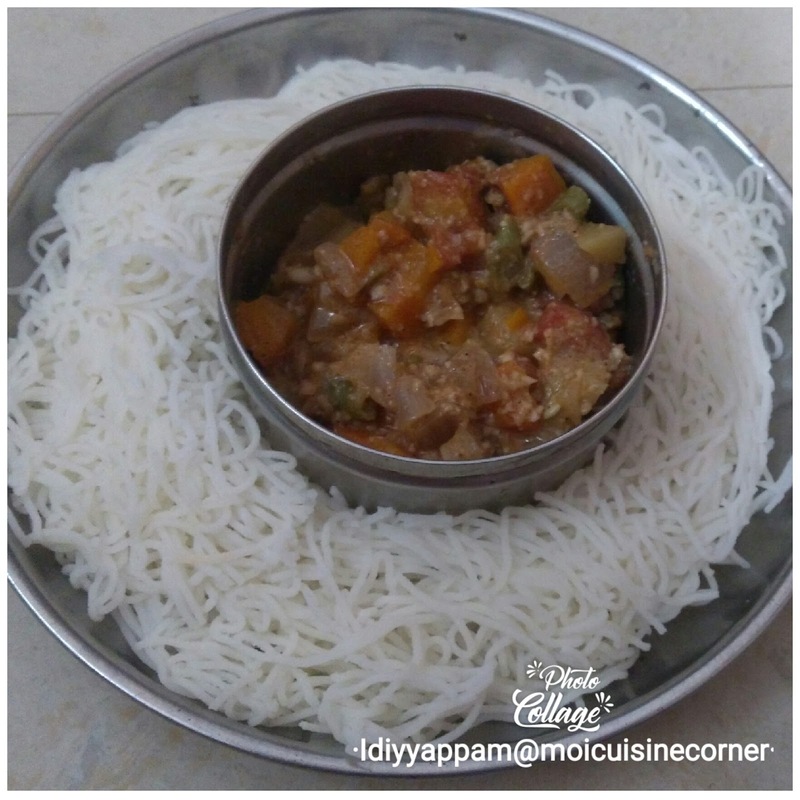 One of the simple yet healthy recipe is Idiyappam!You can make this recipe in a jiffy! Add rice flour in a vessel.To it add salt and piping hot water/Mix it with a laddle and form a dough similar to murukku/chakli dough.Smear oil in idli plates and keep it ready.Put the dough in murukku press and swirl to make stringhoppers in the idli plates.Steam it for 10 minutes enjoy. 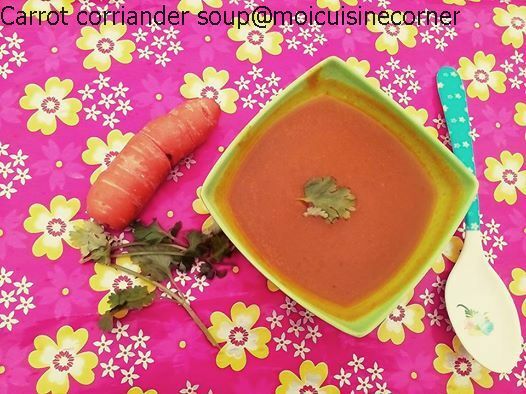 Relish it with vegetable stew or coconut milk! Lazy Saturday mornings and I really do not get enough inspirations or motivation to cook!I always end up making a quick fix dish!One of such easy recipes is this soup!Carrots and coriander indeed is a lovely combo!Who will say NO to a piping hot soup on a cloudy day!It was just drizzling for few minutes in the morning and I also made this soup(what a timing! ).Off to the recipe. Add roughly chopped carrots in a cooker,by adding enough water(just ensure that the water is above the carrots by an inch).Cook for 2 whistles or till the carrots gets cooked!Wait till the pressure releases.Cool and grind it well along with cleaned corriander leaves.You can add the boiled carrot water,while grinding!Now add the ground paste(if it is too thick,dilute it with water),add salt and bring it to a boil for a minute.Serve it with pepper powder! Note:You can just add garlic pods while cooking the carrots.They add nice flavour.I skipped it though! It has been some really really long time that I blogged!Ask me the reason?Nothing in specific.Juggling work and life,takes my complete time!But I do sneak and peak into my hobbies,every now and then :)I wish,I shed my laziness and devote my time in blogging about the most that I like(ofcourse food!what else!!!). Now direct to the topic! Paruppu podi takes me back to my school and college days!When amma was in a no mood to cook,she would make some vegetables/rasam and We would kick start the lunch with this spicy lentil powder rice!This is a spicy powder,usually mixed with a generous dollop of ghee in hot rice!oh yes,the taste just makes me to drool! Cool and grind it in a food processor!If you want the finer version of the powder,just sieve the powder twice and leave out the residue(can be used in sambhars). 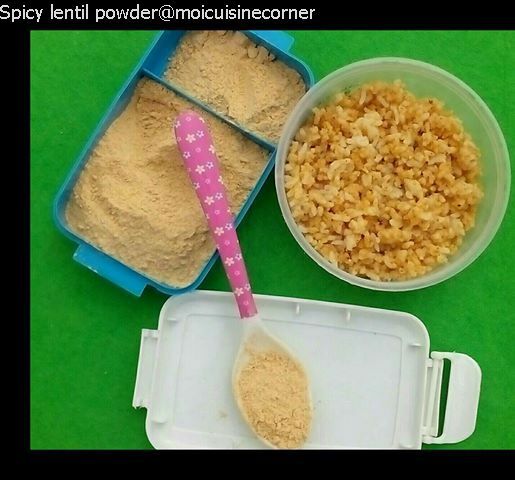 You can even dry roast some generous pods of garlic and enjoy the garlic flavoured spicy lentil powder! Do try and let us know,how you liked! Hope you are all doing good!I could not update my blog for long.Till I get back to blogging please check my facebook page "moicuisinecorner" for more updates about the recipes.Thank you so much.Happy new year! It has been sometime that I blogged!phew I am poor at managing time and I so I have huge backlog to catch up!Having said that,let me get into the recipe.How to about some soft but ghee dripping boli on a rainy day?Bliss right?That is what I did!Made boil and relished it by seeing the rain through my windows. 1.Add maida,salt,turmeric powder and mix well…Add water little by little and form a dough similar to chapathi dough!In the end add some more oil and mix well…smear some oil on the dough and cover and close it.Let it rest for 2 hours to give best results. 2.Soak channa dal for 1 hour and pressure cook for 1 whistle. 3.Drain the channa dal and grind it to nice paste by adding very little water. 4.In a wok add the grated jaggery and allow it to melt…Once it gets melted then add grated coconut followed by channa paste.Wait till it gets blended well and becomes a solid mass.If you feel it to be semi solid you can add besan flour to make it to solid mass…Add cardamom powder and mix well.Switch the stove off and cool it. 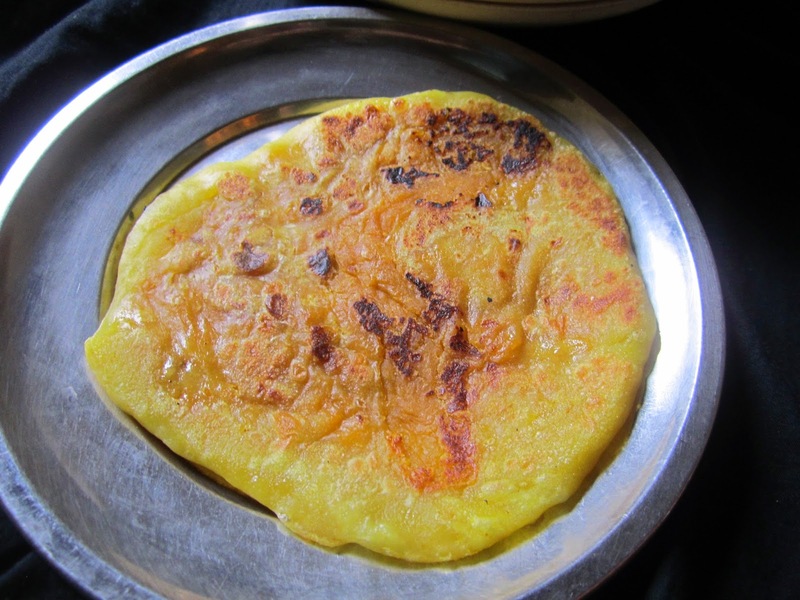 5.Take a cover or banan leaf and smear some oil.Now the maida dough would be all set.Pinch a ball out of it and put it on the banana leaf.Pat it to a thick small circle.Meanwhile pinch a small ball of the channa mixture.Put the channa mixture ball in the center of the maida disc that you patted to a small circle.Bring all the sides together to close it and pat it to thin disc. 6.Heat a griddle and add some ghee.Once it gets heated,invert the contents of the banana leaf and allow to cook..wait till it turns golden brown.Be generous to add ghee.Flip to other side and add some more ghee.Let it become golden brown.Take it out and serve! Kadamburi is a place in tamilnadu and these bolis are very famous there! Did you get the title?not yet…chill I will let you know…Eatathon –I had been eating out for quite a good number of days and so wanted to just share the restaurants or the food that I ate. It all started when a friend offered us a treat and the restaurant was Buhari…I am a pure vegetarian and all my friends are non veg and so it was decided that Buhari would be our treat place!As usual I ordered sweet corn soup,paneer tikka(what else) and veg briyani(which was bland)…My non veg friends said that their food was good!The resto is special for non veg food and so I could not comment on it JBriyani was just bland and that is all I felt! Next it was my treat and this time it was Dhindukkal thalapakatti briyani!My friends did choose this place.Again this is also a non veg place!I ordered tomato soup and kashmiri pulao…Tomato soup was just awesome and it was made using coconut milk.It was the first time, I was tasting a tomato soup made with coconut milk!Kashmniri pulao was good(yay with a tinge of sweetness) and on the whole the food was good and I enjoyed it! A few hours stay at mamalla resort (Chennai)and the lunch there was good…The jaipuri bindi was the hit of the menu. A sudden trip to Thrissur…What else I need to say about God’s own country?We decided that if it is going to be a vacation then the default location would be kerala.We had our lunch,dinner and breakfast at hotel bharath.Breakfast and the dinner we liked the most…The idiyappam(stringhoppers) served with vegetable stew (by using coconut oil) ahh whattey taste it was!We never forgot to taste the putu and kadale curry(signature dish of kerala)…We got raw jackfruit chips,raw banan chips,semi ripen banana chips and the sweet version of jackfruit chips!Not to forget we got a big jackfruit on our way from kerala! A sewage block near our home and we could not cook proper food at home as we were asked to use only minimal water..I had to eat at office and I really loved the veg salad,wheat halwa and bread kesari from my office canteen! Now don’t you all agree with my title? I welcome you all to my space.I share the recipes which I learn from my relatives and friends here.Do share your comments and that will help me to improvise. 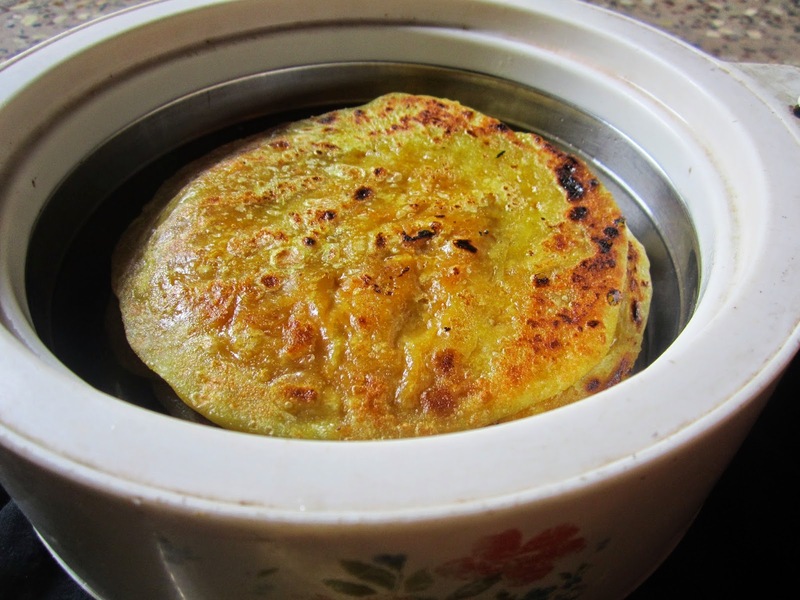 Sakkarapongal/Paal Pongal[Festival sweet recipes]-The pressure cooker way!